Bulawayo24 NEWS | Only Chamisa has the economic keys to revive the Zimbabwean economy? Only Chamisa has the economic keys to revive the Zimbabwean economy? When Nelson Chamisa opines alongside foreign interests that nothing has changed since November 2017, the idea is to defeat today's ZANU-PF by psychological association to the leadership of former president Robert Mugabe, whose deposition in November 2017 has largely been misunderstood. Operation Restore Legacy was a ZANU-PF project, planned and executed by ZANU-PF cadres in order to restore the legacy of ZANU-PF, then threatened by Jonathan Moyo's strategy of destroying the liberation movement from within through the capture of Robert Mugabe and his wife by the reactionary G40. This was ZANU-PF rescuing itself and re-inventing its own legacy; and purely for the love of deposing Robert Mugabe, the opposition found itself as dedicated allies and comrades of ZANU-PF cadres that were cleansing their own movement. The argument peddled to legitimise, sanitise and authenticate the recent violent destruction and looting as a genuine expression of public anger over Mnangagwa's failure to change Zimbabwe for the better since November 2017 is, in fact, a continuation of a very old and tired war on ZANU-PF, not any new invention by Zimbabwe's pro-opposition urban youths. 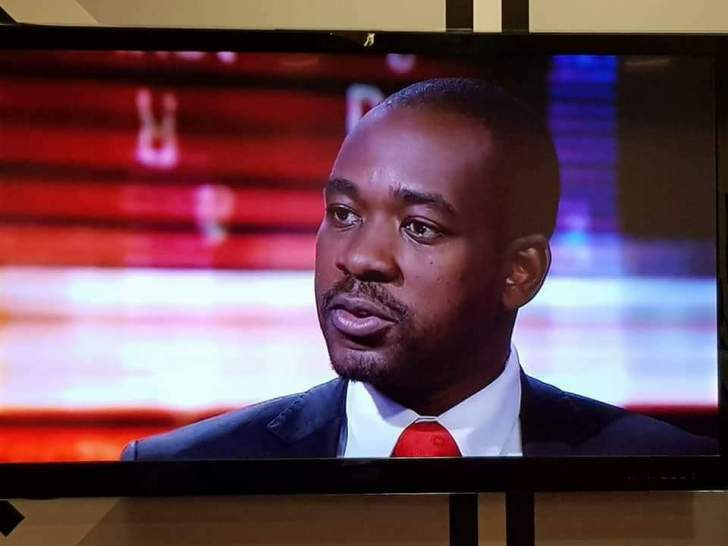 Nelson Chamisa premised his 2018 election campaign on this narrative, starting from the first day he illicitly grabbed leadership of the MDC when Tsvangirai was battling against breathing his last on South African hospital bed — the very place that opposition activists ironically say any decent and principled politician from Zimbabwe should never be admitted for treatment. Nelson Chamisa kept saying only him had the economic keys to revive the Zimbabwean economy, and his narrative was that Mnangagwa needed to be defeated economically, not politically. Him and Tendai Biti openly lobbied for American economic warfare on ZANU-PF. They travelled to the US specifically to beg for more economic sanctions on Mnangagwa's Government. Nelson Chamisa's election campaign trivialised and relegated the parliamentary race to an after thought symbolic effort, as he centred all his efforts in posturing himself as the messianic missing link that Zimbabwe needed after the demise of long time ruler Robert Mugabe. He portrayed himself as national hope individualised. ZANU-PF is a seasoned political movement that knows the importance of a mathematical approach to elections, and the party focused more on ensuring that its parliamentary candidates benefited from its structured grassroots spider-web campaign strategy. Nelson Chamisa was enjoying his massively attended stadium crusades where cheerleading chants were clearly mistaken for the popular vote. July 30 came, and ZANU-PF comfortably secured more than two thirds majority in the parliamentary race, leaving Chamisa hankering for a surprise win in the presidential race — where he impressively garnered over 2 million votes — albeit 400 000 less than what he needed to surpass the winning ZANU-PF candidate. He was inconsolable, still is, and will till death be, and that is why he is writing letters to everyone everywhere everyday in the hope that his loss can be dialogued into an electoral victory — one way or the other. The facile and tendentious social media propaganda aided by the bitter ranting of self-exiled Jonathan Moyo is what Chamisa has banked on to sway public opinion — and this is why the opposition wanted everything but the Internet to shut down in Zimbabwe on January 14. When Internet did shut down — the outcry from the opposition and its foreign backers was deafeningly loud. The deposition of Robert Mugabe was never meant to be a repudiation of ZANU-PF, or of its glorious past and legacy as an iconic African liberation movement that won national independence, founded on democratic majority rule and patriotic sovereignty. Operation Restore Legacy was a well-planned and elaborate ZANU-PF exercise to rid itself of criminal reactionaries that had captured the head-figure of the revolutionary party. Jonathan Moyo's G40 had to fall. It had to be annihilated, and that was the only way to restore ZANU-PF and its legacy. It is wilfully false and illogical to assume the downfall of ZANU-PF from an operation sired by ZANU-PF itself. What ZANU-PF did in November 2017 was to reinvent itself, restore its legacy, and ensure its continuity. Those who think the current leadership of ZANU-PF can be incited, blackmailed, arm-twisted or cornered into abandoning a legacy made through blood, limbs, tears and sacrifice are making a huge mistake, if not a deadly one. ZANU-PF's founding principles are national in nature, and they form the basis of how the nation of Zimbabwe is founded. The Second Republic is not a negation of ZANU-PF history and legacy, but its continuation. The First Republic remains part of the legacy of ZANU-PF as restored in November 2017. The First Republic attained our independence, consolidated it; it reclaimed our heritage through the historic land reform programme, and of course it implemented many social gains that include the indisputably phenomenal mass education programme that has made Zimbabweans to count among the most globally respected people in the field of human capital. There are no apologies from an ideological point of view to say ED Mnangagwa is a continuation of Robert Mugabe — that the Second Republic led by Mnangagwa recognises and builds on the gains attained during the First Republic that was led by Robert Mugabe. Robert Mugabe might have been deposed by the ZANU-PF he led, but he is the founding father of independent Zimbabwe, not a second Ian Douglas Smith. Indeed Mnangagwa has a daunting task to introduce reforms and policy shifts in order to suit ZANU-PF's founding vision to changing societal expectations of today. Those foreign elites who opposed ZANU-PF's founding vision cannot be mistaken for allies today, and we cannot possibly overlook the history of Western interests in the context the legacy of ZANU-PF itself. ZDERA and all other formations and guises of Western economic sanctions on Zimbabwe are in themselves a definition of relations between ZANU-PF and the West, as they also define the relationship between the West and the opposition MDC Alliance. We battled and fought against Western interests before and after independence, and needless to say; these are defined economic interests. Our opposition as led by Nelson Chamisa rides on this nefarious politics premised on Western economic warfare on the governing establishment in our country. This is why Cyril Ramaphosa, Strive Masiyiwa, Uhuru Kenyatta or anyone else that has called for the lifting of economic sanctions on Zimbabwe has been derided and vilified by our opposition. When sanctions failed to dislodge ZANU-PF from power a plan to destroy the party from within was mooted, and that is how we ended up with Jonathan Moyo and the G40 cabal. ZANU-PF did not embrace the opposition into Government after November 2017 for a reason. The opportunistic association where the MDC found itself cheerleading a ZANU-PF initiative did not mean the opposition had suddenly transformed itself from a puppet political outfit doing the West's bidding on Zimbabwe to a nationalist patriotic movement. This was a mere opportunistic, if not strategic contrivance serving a process, but not in any way shaping the outcome. In deposing Robert Mugabe, ZANU-PF was in no illusion to create a backdoor for MDC politicians to end up at another power-sharing table. At the time in question the opposition was comatose and hopelessly demising under Tsvangirai before he died, and his MDC reached out to ZANU-PF after his death. So this issue about dialogue is not new. Nelson Chamisa obviously thinks dialogue is the alternative way to end up governing a country when elections fail to deliver the desired result. That is the Kenyan narrative we once borrowed in 2009. Not anymore, and for good reasons. The will of the people cannot be undermined, and as such election results must be accepted and respected. If Nelson Chamisa and his MDC miss the opportunity availed by the economic transitional pains and hardships of today, there is virtually no chance of ever governing this country after the foreseeable economic recovery, unless they re-invent their approach to politics. So there is a genuine fear of Election 2023. A terrible economy is all the MDC and its leader have as a political weapon against ZANU-PF. There is likely not to be any terrible economy in 2023, and that is bad news for Chamisa and his colleagues. So economic sanctions must be intensified until ZANU-PF falls. Zimbabweans must continue to suffer until Nelson Chamisa becomes the president of the country. Nelson Chamisa is calling for dialogue because he wants to be in Government, certainly not because he feels terrible about the suffering of Zimbabweans. If he did, he would condemn the sanctions on the country, even symbolically. Our people are the political prisoners of ZDERA, not the hooligans and vandals that Chamisa is honouring as "political prisoners". There are economic recovery efforts underway right now, and every single one of them has been derided, disturbed and undermined by our opposition. The recent violent riots were timed to undermine Government efforts to revive the economy. Our opposition was opportunistically cheering lengthening fuel queues instead of wishing them away. We have an opposition that will cheer on striking health workers and wish for more patient deaths during the industrial action, so the ruling party can be seen in bad light. Are we the only country on earth with no rallying point, no national interest, no common cause? If our own lives can be sacrificed on the altar of political expediency, how are we meant to build a nation? We are a country founded on independent nationalism, and as such we must never take for granted the deadly impact of imperialism. Britain's imperialist script does not change because the Tories may have chosen to be softer with ZANU-PF, or even prefer to have the revolutionary party in power. That alone does not make London less imperialistic. What is important for Britain is to secure its imperialistic interests, the same way the Americans seek to secure their imperialistic interests in our country and in Venezuela. Zimbabwe can be a client, neo-colonial state under ZANU-PF if ZANU-PF agrees to replace Morgan Tsvangirai's MDC outfit. It does appear Britain had somehow developed that impression after November 2017. There are a number of people in ZANU-PF that went overboard to appear as departing from Robert Mugabe and his ZANU-PF as possible, along the way trying so hard to impress the Westerners so much that they began to appear a lot more puppet material than the MDC. So the ZANU-PF re-engagement mantra has been taken advantage of by some from within the party that now want to appear as the holiest among others, vilifying and demonising others so they can dignify their treacherous and illicit night time association with the West. Some have even warmed up to embracing Nelson Chamisa's hopeless election dispute, if only that can endear them to the moneyed West. We cannot successfully build a prosperous Second Republic on the basis of successfully begging for aid money from the West, East, or even from Africa itself. Dignity is in hard work, not in compelling begging. ZANU-PF must know that the West is now back to the old days of debating on how best to dethrone the party from Government, and who to install after the perceived downfall. Our foreign policy cannot be blind to this without being suicidal. The West sees in our urban youths a revived hope for the demise of ZANU-PF. This is why there is no condemnation of the violent destruction of property and endangering of lives that happened on January 14. The only terrible thing that happened was the January 15 crackdown on the violent protesters by the ZRP and the ZDF. Even more terrible was the January 16 disconnection of the Internet. If Zimbabwean urban youths are going to burn the country down in order to remove ZANU-PF from power, then vandalism, hooliganism, thuggery and barbarism must be embraced in the framework of democratic practice. So says the West. The West and the opposition must be allowed to define the kind of proportionate force to be used against "alleged perpetrators". So we now hear that those arrested, tried and convicted of crimes committed during those violent demonstrations must be freed on political grounds. They are suddenly christened "political prisoners". So some of our young people burn down our shops down, burn our cars and buses, our police stations, destroy our tollgates, loot our supermarkets; and when they are arrested, tried and convicted, they equate themselves to political detainees of the Ian Smith era, the likes of Edgar Tekere, Robert Mugabe, Eddison Zvobgo, and many others. Would Tekere, Zvobgo, Joshua Nkomo, Mugabe ever support the imposition of economic sanctions on independent Zimbabwe? Unthinkable! There is this deadly mistake the opposition is making, especially its youthful activists. There is a misconception that Mnangagwa is an easier tree to push down than Robert Mugabe, whom they dismally failed to push down anyway. Operation Restore Legacy was meant to strengthen ZANU-PF, not to weaken it, and indeed ZANU-PF is now harder to beat than it was under Robert Mugabe in his last days. ZANU-PF does not lose to violence, it does not lose wars either, and it does not succumb to economic sanctions. Try elections. What is needed right now is the political goodwill to help Zimbabwe recover economically. First and foremost, we Zimbabweans must pull and push together in this direction. This economic warfare some of us are cheering is essentially genocide on our own people, some of whom are opposition members and supporters. To the West our efforts to re-engage mean weakness, they mean we are capitulating. That means if possible we can be weakened to the point of reversing the land reform programme. We must not beg the West to take us back into the Commonwealth. If we are going to rejoin the Commonwealth, let it not be a reward for our capitulation. It must be an association purely hinged and defined by our own interests, not those of any other nation. The regime change agenda cannot succeed anymore than it did under Robert Mugabe's Government. There is no war or pressure that ZANU-PF withstood under Mugabe that the party will fail to withstand today. Nelson Chamisa might brag all he wants that he is different to Morgan Tsvangirai, but rest assured the difference goes nowhere beyond eloquence of speech and delusions of grandeur. ZANU-PF is not the kind of monster you can speak away on a microphone. It is unwise to push this reforming ZANU-PF into a political defensive mode. It is dangerous even. ZANU-PF has a reputation of taking good care of itself in regime change games, and that is not about to change. ZANU-PF is not going anywhere any time soon, and the sooner we start focusing on reviving our economy the better for this country. If we are going to dialogue, let us dialogue on economic revival, not on endless political power games. Zimbabwe we are one and together we will overcome. It is homeland or death!